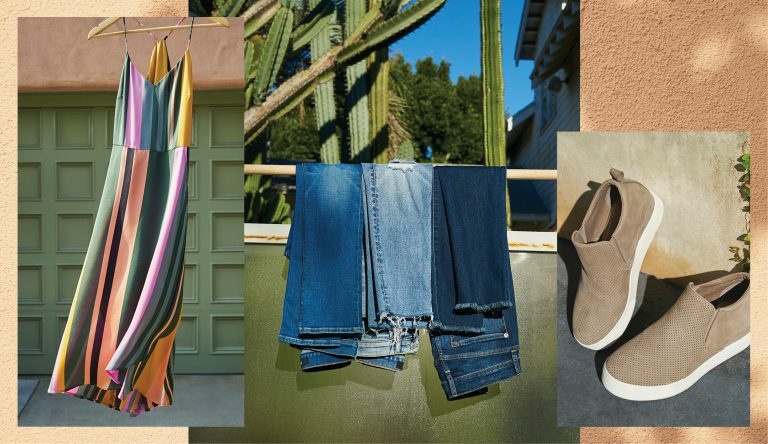 Our Director of Buying Liz follows a simple philosophy when it comes to fashion: you do you. She learned from an early age that style doesn’t come from being a trendsetter, but from being able to confidently express yourself through what you wear. 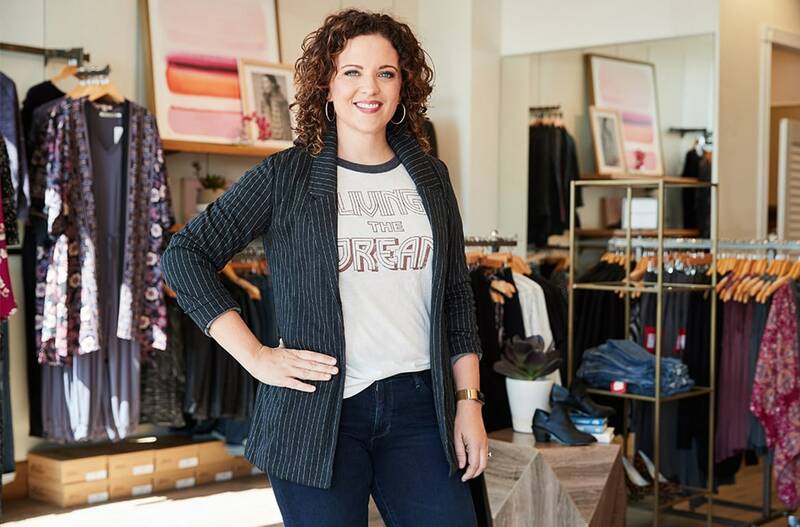 Finally dressing for her body is when it all clicked for Liz, and there’s nothing she loves more than helping other women find what they need to feel comfortable in their skin. 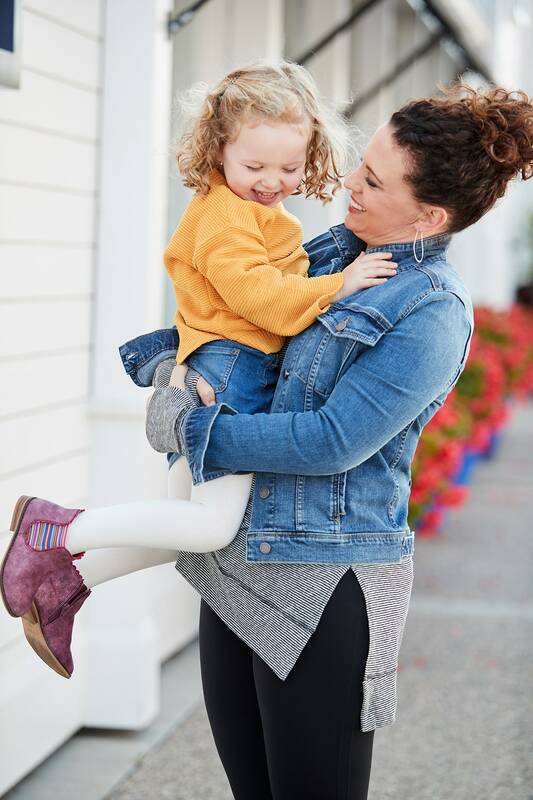 Ahead she talks the one thing in her closet she can’t live without, the easy breakfast that gets her going on a Monday and what she’s teaching her four-year-old about fashion. You’re the Director of Buying at Evereve—sounds fancy! Were you always interested in fashion? Walk us through how you got here. Fashion was my first love. Eleven years ago, that love brought me to Evereve as a stylist in St. Paul, MN. Shortly after, I got the opportunity to move to Colorado and open our first store outside the Midwest. 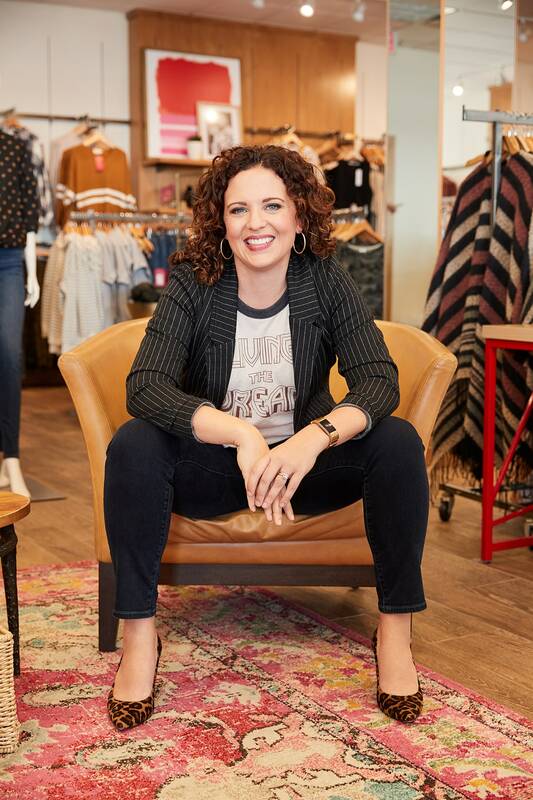 Over the years, I grew into a Regional Director of Stores and spent every day absorbing everything about our customers—her lifestyle, her body type and her fashion needs. That role also introduced me to my second love: leadership. Supporting my team in feeling successful is so rewarding. 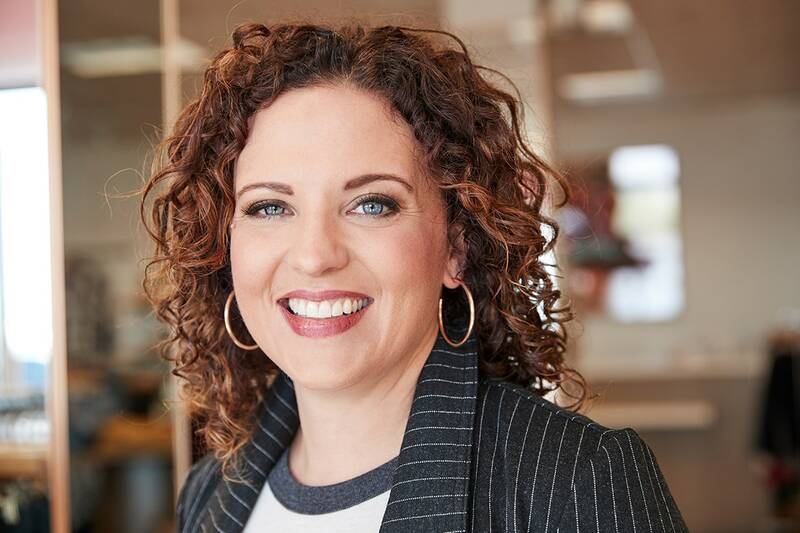 After ten years, I was selected for my current role, which requires an expert understanding of our customer and a passion for leading people—the perfect place for me given my previous experiences. 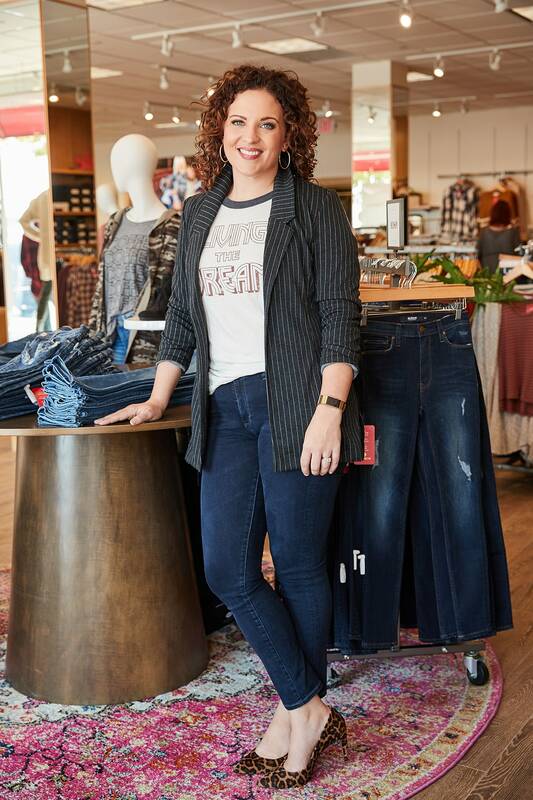 AT WORK // Shop Liz’s Daily Uniform: Kut from the Kloth Blazer | Chaser Tee | AG Jeans | 1.STATE Heels | Thirty-nine 42 Earrings Liz is 5’10” and wearing size L tops, 29 jeans and 10 shoes. I love hearing stories of how the baby steps eventually lead to the dream role. What does a typical day look like for you? I try to get up at 5 AM, but if I’m being real, it’s more like 5:30 AM. I kickbox two mornings a week and the other days I start with work prep and coffee. My husband, Paul, and I tag-team getting both kids out the door around 7:15 AM. On my way to the office, I eat a couple of hardboiled eggs and fruit while listening to a podcast. I’m at my desk early because I love to have a few quiet minutes in the office before the rest of the team arrives. By 9 AM, the day is full steam ahead! I’ll usually have a status update with one of our buyers to talk business strategy and review product. The rest of the day quickly fills with meetings about current product and what’s coming in the next six months—right now, we’re deep in spring discussions. I usually leave the office around 5PM to pick up one of the kids while Paul grabs the other. The kids eat right away, then Paul cooks an “adult” dinner for the two of us while I tidy up the house, answer emails or work out. After our quick fifteen-minute dinner date (ha), we do story time and cuddles with the kids, and I’ll sneak in a page or two of the book I’m reading before falling asleep. Sounds like your schedule is pretty packed! What is the coolest thing you’ve gotten to do through your role at Evereve? A couple of months ago I got to meet Dr. Brené Brown in Houston with a handful of coworkers. If you haven’t read her work, you should—spending a few hours with her impacted my life and my leadership style in a huge way. Still pinching myself! Going to market every season with the buying team is also a super fun job perk. Nothing beats that first look at what’s coming next season, and traveling to New York and LA is always a fun change of pace. Definitely envious of the trips to New York! What is the most challenging part of your job? Fashion is emotional for women. While I know that not everyone will love every single piece we select for our stores, it’s hard to hear the feedback when we didn’t get it right for someone. We all tend to focus on the one negative thing while forgetting the wins. Luckily, I’ve done a lot of work to understand how to be compassionate with myself while striving for excellence. Knowing how to strike this balance allows me to stay open to feedback while maintaining confidence and belief in myself. Being kind to yourself is so important. When do you feel most beautiful? What about most powerful? When I feel beautiful, a few things are happening in my life: I’m drinking a lot of water, I’m getting at least seven hours of sleep and I’m listening to or reading something that is helping me grow. Beauty is something that I intrinsically control. And I feel strongest with and through others—when the team that I’m part of is working together to achieve something. There is definitely power in teamwork. What did you learn from the women in your family about fashion? From an early age, my mom taught us about the confidence that comes from having a firm grasp on your personal style. I can’t tell you that I always knew when something was in style, but I always knew when someone had style. About the time I started high school, my mom bought a women’s boutique. I helped her do the buying and regularly worked in the store; this introduced me to where fashion meets business. So much goes into making it all work—it’s fascinating! What’s in your shopping cart this fall? There’s so much good stuff right now! Not buying everything is the hardest part of my job! If I’m totally honest, daycare bills keep me from getting too crazy—and having a strategy helps. After doing A LOT of Pinterest research every season, I make a list of the foundational pieces I need in my closet. This fall, I’m focusing on updating my denim with a clean dark wash, a lighter vintage wash and a great pair of black jeans. I believe our denim assortment is the best in the industry for a real woman’s body. When I’m not wearing denim, I live in Spanx leggings—great for days at the soccer field. 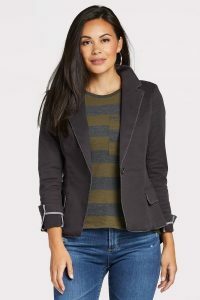 A few new striped and plaid tops in fresh fall colors go a long way in updating my wardrobe, and a moto jacket is the must-have layer for fall (that will also be big in spring). With what’s left in my budget, I’ll invest in some cozy sweaters and mix and match everything all season. There’s no shame in the repeat game—wearing things more than once is the point! 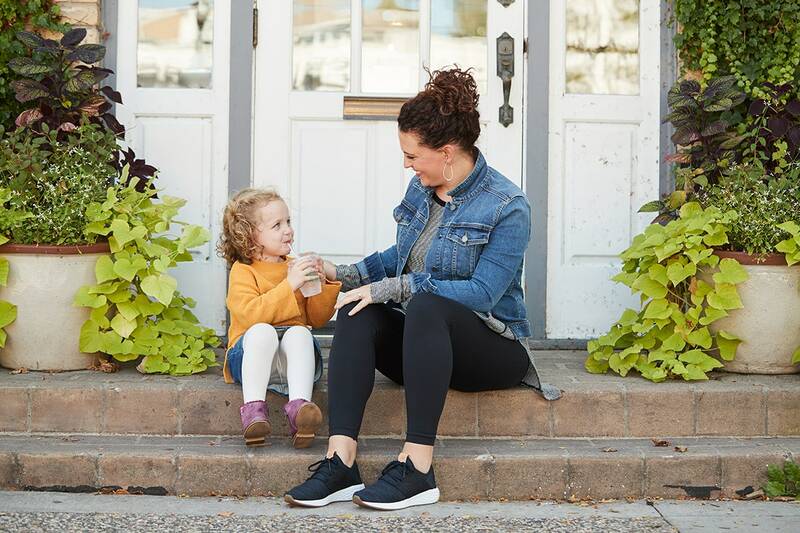 AT HOME // Shop Liz’s Daily Uniform: Articles of Society Denim Jacket | Peyton Jensen Top | Spanx Leggings | New Balance Sneakers | Wearing size L tops, L leggings and 10 shoes. Sounds like you have your style strategy nailed down! Did you go through an embarrassing style phase? I don’t look back at a particular phase and wonder what I was thinking—but I do look back and (proudly) think that I was pretty brave! Life is too short to regret what you wear! That being said, dressing for my body has really helped me define my style over the years. The pieces I regret buying are always the ones I bought when trying to dress a body different than the one I have. When I worked in stores, I would always tell customers that it’s okay to “stay in your box” when putting together your look, but you should always try to make your box a little bigger. Know what works for you while taking little steps to keep evolving your look. 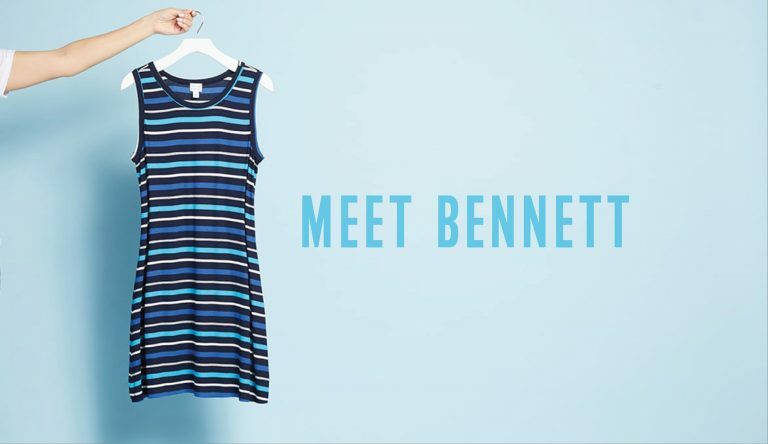 What’s the one piece of clothing you can’t live without? A denim jacket! I currently have four in my closet that all serve different purposes. The best thing about investing in a denim jacket is they last forever—my oldest is eight years old and showing no signs of stopping! Speaking of showing no signs of stopping, you have two kids (Oliver, 6 and Grace, 4). 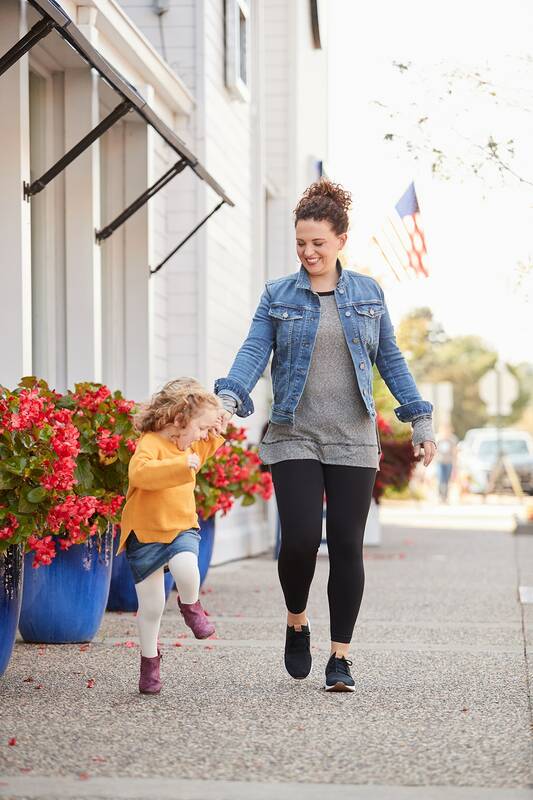 What have you learned about being a working mom these over the last few years? My boss always says, “You can do anything, but you can’t do everything.” I’ve taken this to heart in terms of balancing work and home—with a busy workweek, Paul and I can’t keep the house clean Monday through Friday. I can’t make it to every event at school and also be at every meeting. I can’t accept a social invitation every time it’s extended and spend enough quality time with my family. I can’t travel for work and say yes to a girls’ trip—recognizing that push and pull is key. It’s so hard to say “no” to the girls’ trips, but so true! What’s your go-to pick-me-up on a bad day? A long walk or bike ride while listening to a great podcast that challenges me emotionally and intellectually, followed by some great music. I’m currently obsessed with The Greatest Showman soundtrack. 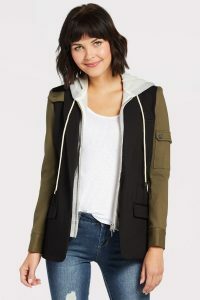 And to really pump myself up for a big day at work, a great jacket is like a confidence injection! You seem so steady and self-assured. What advice would you give your younger self? Accept the body you are in today. I’ve never been the thinnest girl in the group. While it wasn’t realistic, somewhere deep down, I always wanted that award: The Thinnest One in the Group—ha! Only since my daughter was born have I started to really embrace my size, which is anywhere from an 8 to a 12 depending on the year. There was something about having a daughter that made me want to exemplify what it means to take care of myself while still accepting where my body is today. What will you tell your daughter about fashion? We are already starting on this at four years old! Sometimes Grace will ask if she looks pretty. Instead of answering her, I always ask how she thinks she looks. She always says, “I look beautiful.” Then I point at her head and she says, “I’m smart.” Then I point at her heart and she says, “I’m kind.” Finally, we both flex our muscles and say, “I’M STRONG!” I want her to know how to dig deeper to find her value and hope she does the same with others. As she gets older, I want her to have confidence in her shape—whatever it is—and know how to dress herself to feel STRONG! Thanks, Liz! Look for more Daily Uniforms coming soon. This was such a well done interview. I couldn’t wait to get to the next question and answer. LIz, you are awesome, and inspiring. What a great reminder that being your best is being your authentic self! I could really connect with understanding the challenges and REWARDS of balancing work, family and life. Thanks, Mary Lee! I loved doing this interview and couldn’t agree more—such inspiring thoughts from Liz! I couldn’t wait to get to the next question either! Liz is such an inspiring role model for real working moms. I love the way she is teaching her daughter to dig deeper in value for herself and others, what a great take away! Well said Liz Sinnott! You are as beautiful inside as you are outside! What a role model you are for all! Thank you for being true to yourself, and for touching so many women’s lives along your path. Liz, I love that you teach your daughter that she is beautiful, smart, kind and strong. I teach music to children aged 0-4, at an arts-oriented daycare center. Your words moved me so much that I wrote a song that I plan on teaching to the children. The song will include the actions of pointing to head and heart and forming the strong arm. I hope you’re OK with me using this idea to spread the good word with lots of children. Thanks for spreading joy and goodwill. Such a fun idea, Dorothy! We love it! Congratulations on your new job. I read all about on your blog which your Dad sent on to me. You look great in all the photos. I wish you well for now and in the future. Regards to Paul and the kids. I love your story and ESPECIALLY how you have taught your daughter to see herself in the (inner)mirror-Smart, Kind and Strong. Thank you for that! We’re not just what our body shell looks looks!